IRAN PLANNED A US COLE ATTACK ON ISRAELI SHIP CROSSING THE SUEZ CANAL……. – The Tundra Tabloids……. IRAN PLANNED A US COLE ATTACK ON ISRAELI SHIP CROSSING THE SUEZ CANAL……. 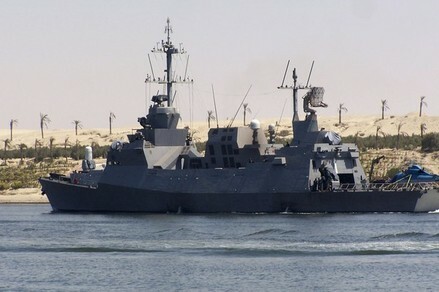 Iran had planned to bomb an Israeli ship while it crossed the Suez Canal, the prosecution in Egypt’s state security court said, the Egyptian newspaper Al-Ahram reported on Saturday. According to the report, two Egyptians were recently arrested and investigated for allegedly planning an attack on an Israeli ship in the Suez Canal. The investigation of the two found that they had received their instructions from Iranian agents, and that the two asked a third person, by the name of Mohamed Zakri, to carry out the act in exchange for 50 million Egyptian pounds. Previous Post Previous Post SERIAL ISLAMIC APOLOGIST TARIQ RAMADAN SAYS THERE ARE MILLIONS OF MOHAMMED MERAH’S IN FRANCE…. Next Post Next Post EYE WITNESS BACKS UP STORY OF GEORGE ZIMMERMAN, SAYS HE WAS CLEARLY THE VICTIM HERE……..